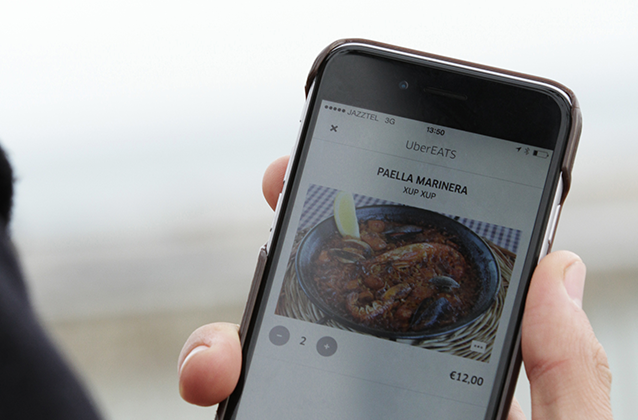 This week Uber’s food delivery service, UberEATS, is expanding to Chicago and New York City, after pilot programs in Los Angeles and Barcelona were hailed as a success. 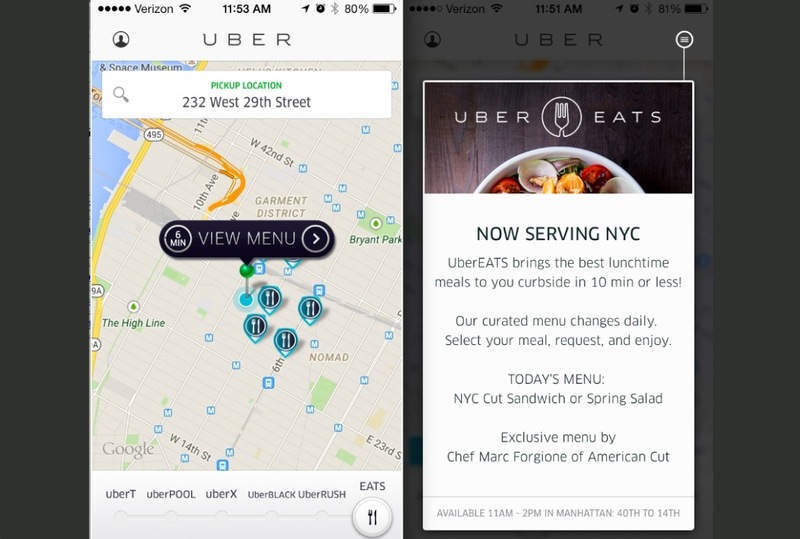 Users can order food from the existing Uber app, which has a daily menu featuring items from “popular, iconic restaurants” in the area. Unlike other delivery services, UberEATS will only bring the ordered meal to “the curbside” and not to your door. Consistent with the company’s policy of flat fares, all meals come with the same delivery fee in each city—$4 in NYC, $3 in Chicago. The drawback is that delivery is only available in certain parts of the city—between 40th Street and 14th Street in NYC, and in Loop and River North in Chicago. In its New York debut, Tuesday’s menu includes just two items, specially created by America Cut: an “NYC Cut Sandwich” with pastrami spiced ribeye ($15), or Spring in a Bowl, a vegetarian salad with baby greens, beets, and feta cheese ($12). There’s a new menu every day. Users in Chicago can choose between the Pepito Torta from XOCO, Carne Asada Cemita from Cemitas, and other items. The items themselves are priced from $9 to $15, and the lunch service runs from 11 a.m to 2 p.m.
UberEATS promises to deliver the meals in under 10 minutes—their secret formula is to keep the meals in temperature-controlled bags in the trunks of the cars, rather than waiting for a customer to order and then picking up the meal from the restaurant. So you might want to think about ordering earlier rather than later. UberEATS isn’t a swerve in Uber’s expansion, but a continuation of the company’s experimentation with delivery. It has offered a rose-delivery service on Valentine’s Day and ice-cream delivery on select summer days since 2013. In D.C., the company started its UberEssentials service in late 2014, delivering items like toilet paper, cough drops, or anything you’d find in a drugstore. Like getting deliveries? This is the list for you. Uber announced Monday that it was partnering with Carnegie Mellon to develop autonomous car technology with Google's own ride-hailing app. Ride-app services Uber and Lyft’s lawsuits will be determined by juries, according to two separate rulings in San Francisco Wednesday.